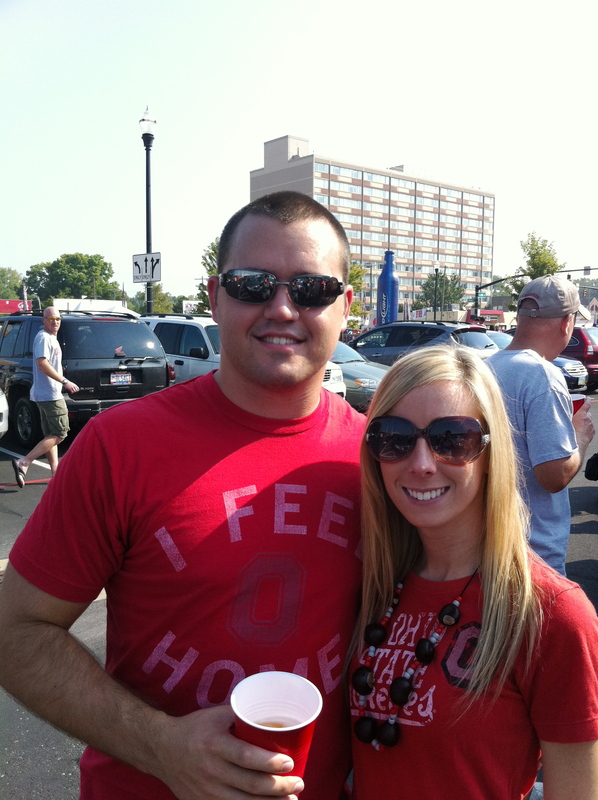 The Friday before Labor Day we received free tickets to the OSU game. While it seemed like an exciting thing, and of course you can never turn down free tickets, neither of us really wanted to head down to Columbus for the long weekend. But we did anyway. I’ve never been up so early for a football game. We were up and down to the tailgating spot by 10:00, which they said was late compared to usual. I’d say it wasn’t ideal weather. It was about 95 but felt like 100+. And I’d felt a little off all week, so the heat definitely wasn’t making me feel any better. 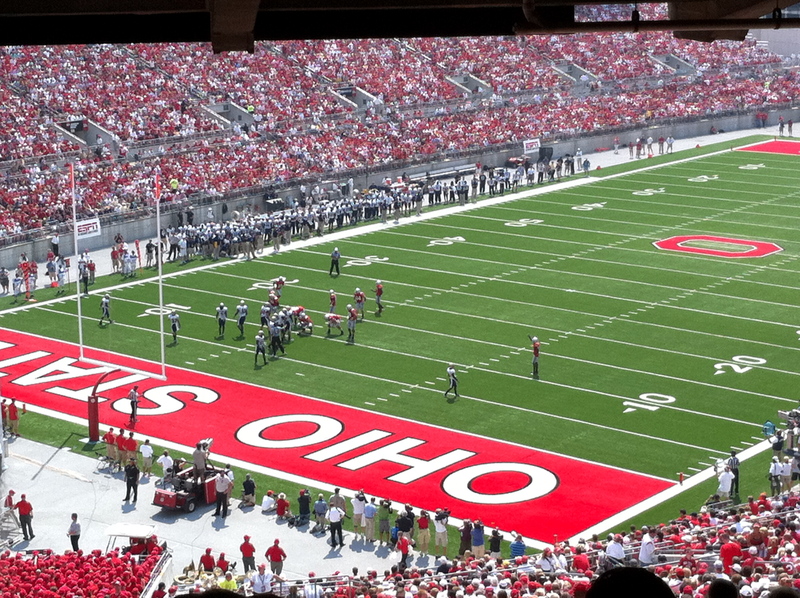 But it was great to see the Buckeyes play for the first time. And they won so that was a bonus…..Here’s to football season!